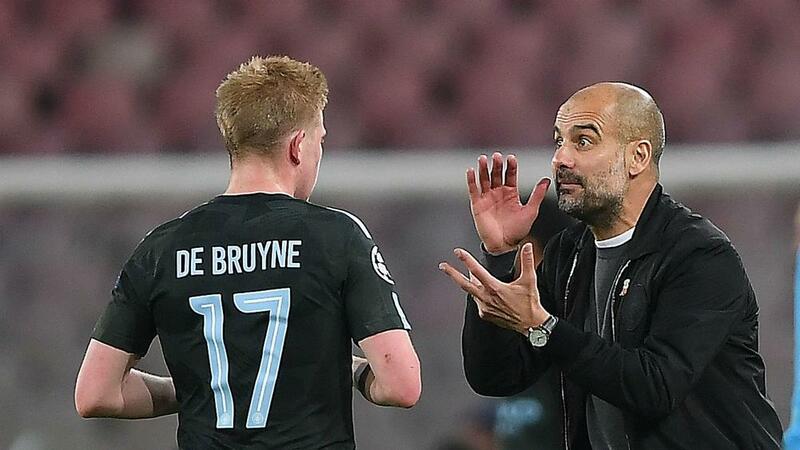 Manchester City sealed a significant coup on Thursday as Pep Guardiola put pen to paper on a two-year contract extension with the Premier League champions. If the 47-year-old sees out his deal it will represent a five-year tenure at the Etihad Stadium – longer than the respective four and three season stays the restless innovator managed at Barcelona and Bayern Munich. Throughout their march to domestic glory this season, City have been putting plans in place behind the scenes in an attempt to secure a lasting period of success. Guardiola is merely the latest key figure to sign fresh terms, although the future of other stars does not have similar clarity. Arguably the most important signing of Guardiola's two-year reign to date, the Brazil goalkeeper has proved a revelation in Manchester. A sharp, fearless shop-stopper, Ederson's composure and skill on the ball felt like the final piece in the jigsaw, enabling City to fully take on their manager's style and blast through all comers. Despite agreeing a six-year contract upon arrival from Benfica, the 24-year-old confirmed an additional two years last weekend to keep him at the Etihad Stadium for the next seven seasons. The relentless inspiration behind City's EFL Cup and Premier League triumphs, De Bruyne was named City's Player of the Season. The Belgium midfielder's stellar form towards the back end of 2017 apparently had Europe's elite licking their lips. It was a source of both joy and relief for supporters when the 26-year-old committed until 2023 in January. The Spain playmaker's succession of sublime displays this term have underscored his claims to being City's finest ever player, especially as he coped with the personal anguish of his son Mateo's extreme preterm birth. A one-year contract extension signed last January keeps Silva in Manchester until 2020 – a significant plus for Guardiola, given there is no player so intuitively attuned to his methods as the 32-year-old. Guardiola was a masterful performer as a holding midfielder during his playing days but insists he would not have got into this City team because of Fernandinho. The Brazil international agreed to stick around until 2020 back in January and a defensive midfield signing has only been prioritised this close season because of his advancing years. No new arrival should expect to easily displace the 33-year-old, who makes City tick. In a crowded field, Otamendi's transformation from hot-headed liability to defensive lynchpin has been the most remarkable of the Guardiola era in Manchester. Not even the Argentina centre-back's most generous champions could have imagined him signing through until the end of 2021-22. When that happened in January, it was richly deserved. A striker Guardiola thinks incredibly highly of, Jesus has sometimes been preferred to City's record goalscorer Sergio Aguero for key games. "He is the best fighter at high pressing I have ever seen," the City boss said. However, a new deal remains unsigned. "The new contract offer was something that came from the club, but I didn't think it was the right time to speak about it because we had big games still to play," said Jesus, who will focus on the World Cup with Brazil before plotting his next move. The 21-year-old is contracted until 2021. The England winger has enjoyed the finest season of his career, scoring 23 goals in all competitions. Guardiola confirmed he and the City board would like Sterling, "to stay for a long, long time and sign a new contract" this month, but the 23-year-old has reportedly decided to delay talks on extending beyond 2020 until after the World Cup. Close to unplayable at his best this season, Sane scooped the Professional Footballers' Association Young Player of the Year award. A forward line of Sterling, Jesus and Sane represents City's future but, like his attacking colleagues, the Germany winger will bide his time until after Russia 2018. The 22-year-old signed until 2021 when he joined from Schalke in 2016. Despite seemingly lukewarm relations between the pair, Aguero's relentless goalscoring appears to have won Guardiola round. However, the Argentina star talks frequently of returning to play for Independiente in his homeland before calling time on his career. City's all-time record scorer committing to the club beyond 2020 is not to be expected. City's captain returning from the ravages of persistent calf injuries to produce towering performances at the heart of defence and lift two trophies was a feelgood story of the season. Nevertheless, Kompany following fellow club greats Pablo Zabaleta and Yaya Toure in bidding a celebratory and emotional farewell feels the most likely scenario when his deal expires this time next year.